This isn’t so much of an announcement trailer as we knew that the film was coming. However, this is all a part of the Crowdrise Campaign, a crowdfunding organization that will raise money to help the Film Foundation, a non-profit organization, founded by Martin Scorsese, that is dedicated to film preservation and the exhibition of restored and classic cinema. In exchange for support, the top prize will bring the winner to England where they are filming the story and an opportunity to voice a character in the film. As for the cast, well, there are some notable Anderson regulars and a couple of newcomers as well. Edward Norton, Bryan Cranston, Bill Murray, Jeff Goldblum, Scarlett Johansson, F. Murray Abraham, Tilda Swinton, Kunichi Nomura, Harvey Keitel, Akira Ito, Akira Takayama, Koyu Rankin, Yoko Ono, Courtney B. Vance, Greta Gerwig, Frances McDormand, Bob Balaban, and Liev Schrieber star in the film. The video doesn’t give us any plot points, but according to Murray, the film draws from a Japanese-inspired tale. Other than that, we don’t know much about it. We do know that dogs in Anderson movies end up in precarious situations. Some even questioned if Anderson likes dogs at all. So maybe Isle of Dogs will answer that question. 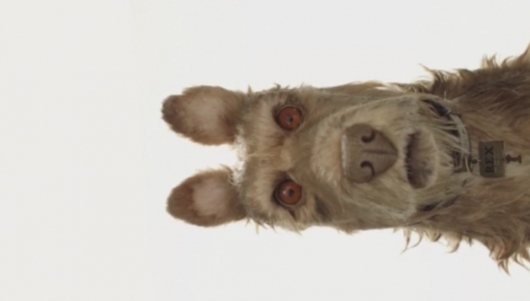 Isle of Dogs will be Anderson’s second stop-motion animated feature following Fantastic Mr. Fox. No release date has been set, but we will keep you posted on the development of the film.